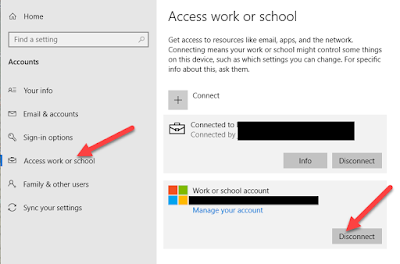 Jason Hartman Consulting: Remote Desktop (RDP) connection to Windows 8 login prompts "Connect a smart card". Also for Remote Web Workplace (RWW). Remote Desktop (RDP) connection to Windows 8 login prompts "Connect a smart card". Also for Remote Web Workplace (RWW). There have been a few hurdles getting users connected into Windows 8 machines via Remote Desktop (RDP) or Remote Web Workplace (RWW) from Small Business Server. When you try to log in, you may see a message that says "Connect a smart card". The issue seems to be caused by trying to "push" or "save" your credentials into the remote session as you are logging in. I know in RWW, you should go back to the "connection options" and un-check the box the says something like "Login to this session as InsertUsernameHere". This may also effect RDP - try not to save or send your credentials along with the initial launching of the session. Try to wait and just enter them manually once you get to the Windows 8 login screen. If that doesn't help, the other workaround is to click on the "Other user" avatar on the Windows 8 login screen, rather than clicking on YOUR avatar. Then manually enter your username and password. My users have had success with the "other user" trick if all else fails. Good to know in advance. You gave your ideas in an effective way which will reach the readers more and it will impact the others wrong thoughts.thanks for giving the commenting opportunity.